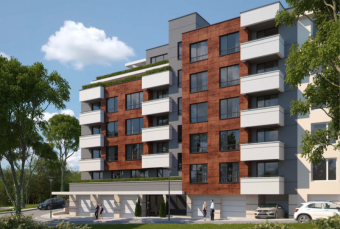 Description: Brain Trust offers for sale apartments in a luxurious residential building located on a sunny and communicative place in South Park and Lozenets area. The building and the apartments are designed for people who want high standards of living. 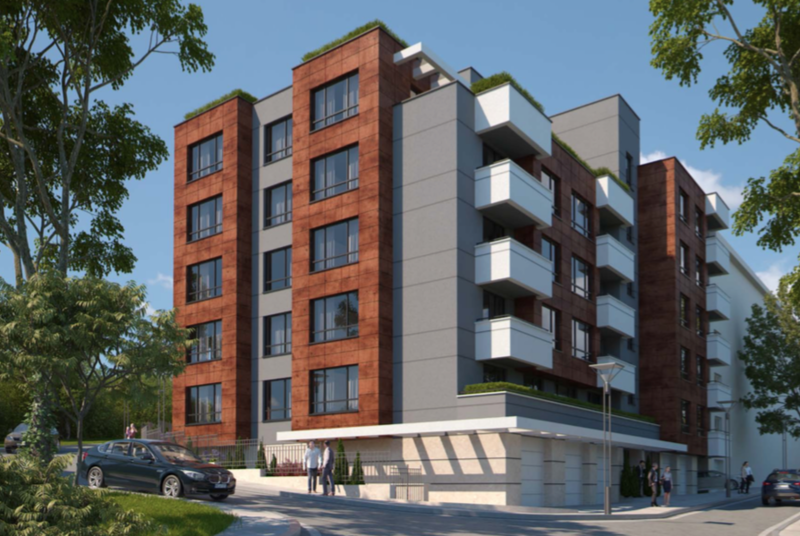 A building`s location is its eternal value as a property and this building is right on such location - unique for its natural hill, just meters from South Park, which provides the luxury of enjoying panoramic views of Vitosha mountain and the center of Sofia. The construction is monolith, with an external thermal insulation system of 10 cm. The exterior and interior partition walls are made of brick masonry (WIENERBERGER bricks) with a thickness of 25 cm and 12 cm respectively. Between the apartments there is mineral wool for sound insulation. The building complies with all energy efficiency requirements. The façade is combined - a Fundermax façade with wood design and a BAUMIT thermo-insulating facade system. 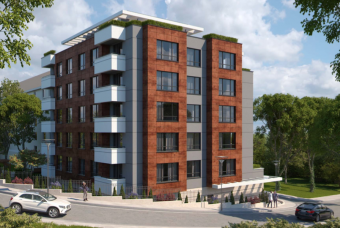 The design of the residential building meets the regulatory requirements and the assignment of the assignor. In the living quarters, the most favorable location is provided according to the geographic directions for better sunlight. The building is designed with a plumbing for hot, circulating and cold water. A place to install an air-conditioning system is provided. Heating is central with aluminum radiators. The building offers back-up power supply via Diesel Generator. There is also emergency power supply to the elevator and lighting in common areas and underground garage. 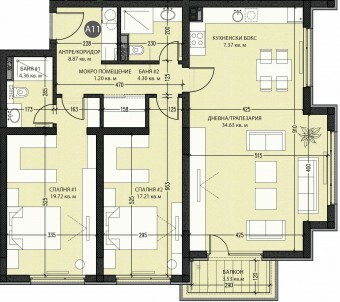 This is a two bedroom apartment, located on the fourth floor, facing southeast and with a living area of 120 sq.m. 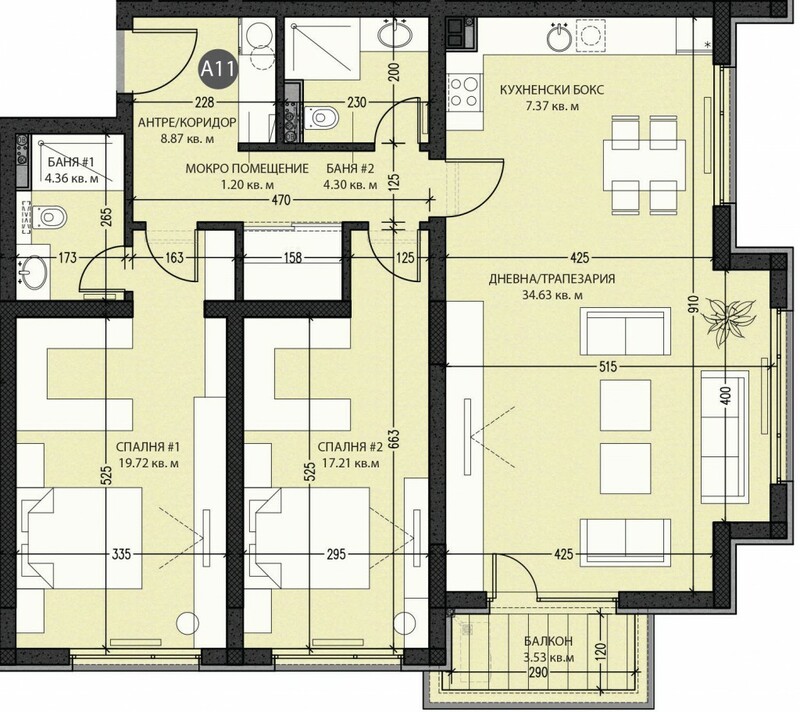 Layout: entrance hall, spacious living / dining room with kitchenette - 42 sq.m, 2 bedrooms, 2 bathrooms with toilet, a laundry room and a balcony. In the building there are also available for sale several other three-room apartments on different floors.